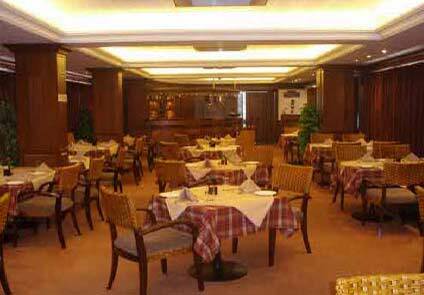 Hotel Alankar Grande, unveiling the new face of hospitality is the renowned name of �Hotel Alankar' Coimbatore. This 3 Star Hotel with ultra modern facilities and unmatched services makes you feel at home. This Hallmark of Hospitality with its unique features re-define the term hospitality. Internet/Wi-Fi, Bar, Security Guard, Business Facilities, Currency Exchange, Breakfast Services, Restaurant, Travel Counter, Parking, Airport Transportation. Internet Access, DVD Player, Cable/Satellite TV, Toothbrush/Razor on Request, House Keeping, Iron/Ironing Board, Wakeup Calls, H/C Water, Attached Bathroom, Direct-Dial STD. Room Service, Restaurant, Parking, Laundry Facilities, Doctor on Call, Business Facilities, Breakfast Services, Bar. User reviews for "Alankar Grande Hotel Coimbatore"